One thing is certain - moving with an almost-4-year-old is much easier than moving with a 3-month-old. The men who brought our stuff out of storage were great with Gareth - they even let him use their tools to help tighten the screws on his bed. 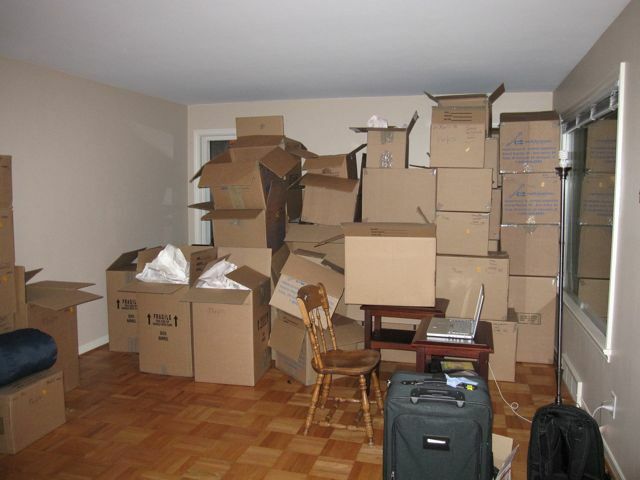 And, here we are, not even a week later, and most of the boxes are empty. When we moved to Manassas it was two or three weeks before my parents came to visit and there were still unopened boxes everywhere. The only thing left to do in the kitchen is clean out the freezer. 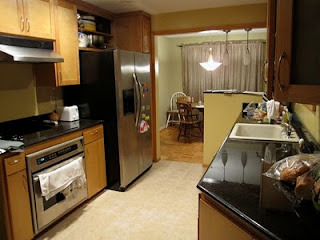 Gareth helped me wipe down all the cupboards, and really did quite a good job of it. Cleaning the fridge and the freezer has probably been the yuckiest part since one of the previous tenants had a cat and there seems to be cat hair inside the fridge (as well as several other odd places around the house). Blech. 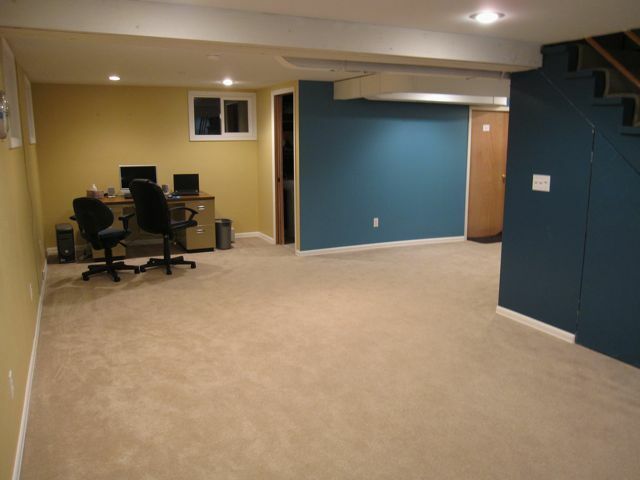 Thankfully they were required to have the carpet in the basement cleaned and it smells so much better than it did when we first looked at the place, but every once in a while I still catch a whiff of smelly cat down there. There is quite a bit of work to be done out in the yard as the previous tenants didn't do much there. We have to get rid of some moles and the grass needs mowing. There's some long ornamental grass out front that needs cutting back so we don't get our recycling/yard waste/trash bins caught in it every week (tangent: one thing I love, love, love about Seattle is that we'll have hardly any trash as most everything can either be recycled or put in the food/yard waste bin). And the couple of gardens have been sorely neglected and need some weeding and clearing away of pine cones (Gareth will enjoy that bit) and probably something planted in them as well (something shade-loving as the pine cones are from trees that overhang that part of the yard). I'm just itching to be done unpacking and organizing inside so that I can have some fun with the yard. We actually had a sunny weekend and it's been killing me to see everyone else outside doing yard work while we're stuck inside unpacking! Of course, we need to purchase a few items (like a lawnmower and a rake) first anyway. The biggest "downside" to move-in day was that our TV was broken in the move (the screen was pushed way in and the sides were cracked and broken), so I guess we'll finally have to upgrade. Glad to hear you're getting settled. Looks like a nice place! Glad the moving is finished for a while, and that it went smoothly. I bet Gareth loved helping put things together. We let Sylvia help put together her bed (when we finally got her one) and she was pretty excited about helping. It looks really great! 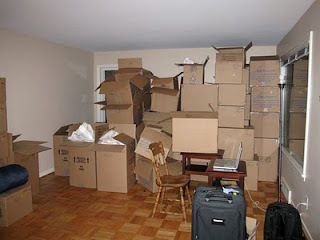 Nice job getting through those boxes - it is so satisfying to empty them, isn't it? I hope you get out in your yard soon too, Devin and I are looking forward to this Saturday, we'll get out and see what damage the winter did to ours and get excited for spring again!